Summer break starts in mid-June, and before we know it, it’s the last week of August, meaning school is about to start. We’re thrusted back into nine grueling months, toiling to no end under evil and merciless teachers until mid-June graces us with a well-deserved summer break once again. This is the traditional school calendar most of us are accustomed to, but it’s time we change it and push for an earlier start date. 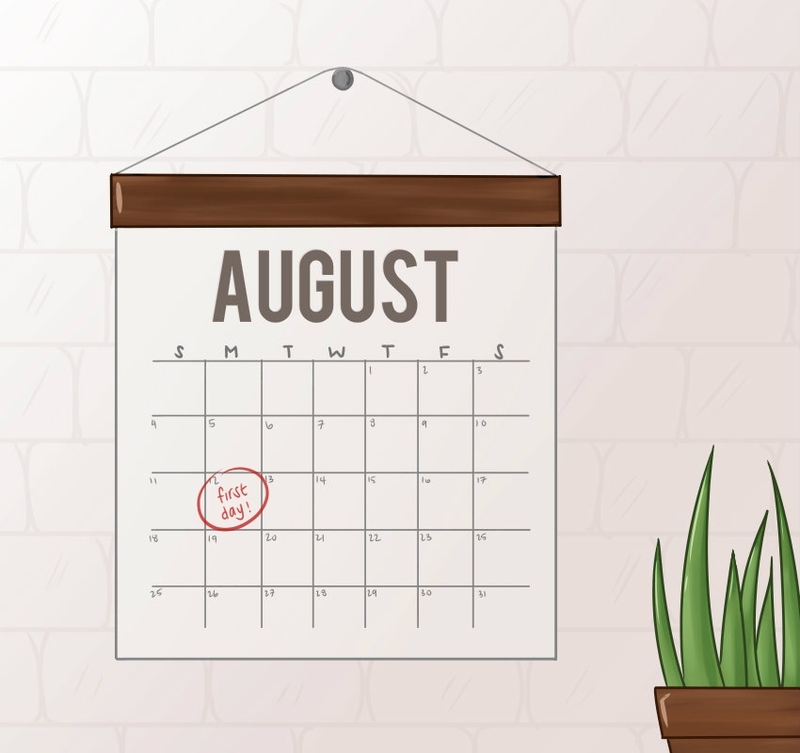 In recent years, many schools have deviated away from the traditional September-to-June school calendar in the best interest of their students. An August-to-May school calendar is a subtle change that can greatly benefit Fountain Valley High School (FVHS) students. A major disadvantage to our current school calendar is the shortened amount of instructional time before Advanced Placement (AP) testing. AP exam season begins on the first week of May and lasts for three weeks. Once exams are over, students are left with an awkward and wasteful three to four weeks of school left. Ideally, school should end once AP exams are over and be back in session during the first or second week of August. Many high schools have begun to follow this calendar because it gives teachers and students more time to prepare for AP exams. An increased instructional time during the school year also calls for less, or even no, summer homework. The numbers don’t lie. There are 1,777 enrolled seats in AP classes at Fountain Valley High School, the sum of students in every AP class, including repeat students. From that number, 893 students are going to take 1,896 AP exams in May. Changing the calendar would not only benefit this huge mass of AP students with more time to master their classes, but also put them on the same playing field as the rest of the AP students across the country. The College Board, a nonprofit that runs the AP program, has also pushed back AP registration from winter to fall starting in the 2019-2020 school year. Moving the school calendar to an earlier start date will give students more time to decide if they want to take AP exams. Beginning school in early August can also benefit teachers and students because the fall semester would end before winter break, therefore final exams would take place before students go on vacation. This allows students to have a more enjoyable rest and a fluid transition between semesters. Teachers also do not have to review material when coming back, and can instead begin new lessons immediately. Furthermore, this new school calendar will allow concurrent enrollment students and graduating seniors to take summer courses at college with fewer schedule conflicts. By ending in late May, students would have around two or more weeks of rest before their summer courses begin. An early calendar sounds great, but it’s especially difficult for us to implement. Southern California temperatures peak during July and August, and so do air conditioning usage and costs. Going to school in 100-degree weather sounds insufferable, and it’s the main argument against an early school calendar. The crazy and stupid California heat is why we can’t have good things in life. Regardless, both Fountain Valley High School and the Huntington Beach Union High School District should consider the benefits of an early school calendar and see that the financial investment is truly worth bettering the education of their students. Change is always difficult and scary, but we need to realize that the traditional school calendar is unfit for our students’ current needs. Implementing a new school calendar takes hard work and thorough consideration of the repercussions, but will result in a greater payoff for students.